60 Second Briefing: What is Flow? BlogHome » News » News » 60 Second Briefing: What is Flow? Businesses depend on the smooth and efficient running of processes, without that, they can be hard to manage. 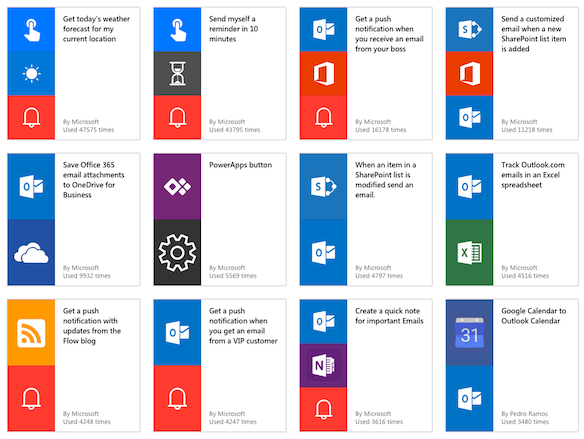 Microsoft Flow is an Azure based tool, used to streamline these business processes and to automate tasks triggered by completed actions – much like a domino effect. The simplest processes Flow can be used for, are notifications. For example, if an email comes in from a selected, specified sender, Flow can send a text (SMS) to notify the user. The great thing about Flow is that the user does not necessarily have to know code, and the creation of processes is very simple and easy. This means that usage is not limited to IT developers alone. There are a vast amount of templates to choose from meaning that basic flows can be put together quickly and with no fuss. Flows can be integrated with many other different apps such as Twitter, Dropbox and Mailchimp and can also be connected to various Microsoft services such as PowerApps, Dynamics 365 etc. Flows do not run at the same time, so some can take longer to kick in, however, this does also depend on the version of Flows that you’re using. The free version’s flows have a lower priority, therefore can take longer to complete. Microsoft Flows can be accessed from the Office365 Launcher or online and can also be accessed from a mobile device on the Flows app. previous post: Working with SharePoint and OneDrive – How does document management work in Office 365? next post: 60 Second Briefing: What is Microsoft Teams?